Ditch the liquid liner You cat eye may suffer a bit, but at least your eyes will stop complaining. Most liquid liners contain latex, which is why people with sensitive eyes should avoid them. 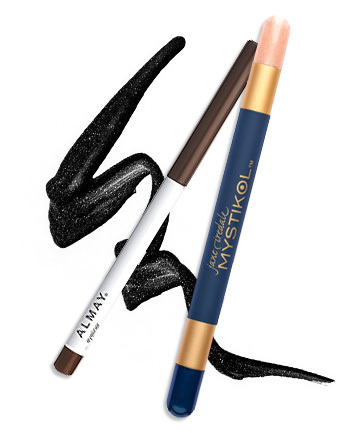 Dr. Wolf recommends switching to a creamy, wax-based liner and only applying it to the outer rim. Any sort of waterlining clogs the oil glands along your inner rim, which disrupts your tears from moistening your eyeballs -- hello dry, red eyes. If you absolutely can't live in a world without your liquid liner, look for one that says it's latex-free, not just for sensitive eyes (Jane Iredale Eye Believe Liquid Liner is made sans latex).